A popular currency trading website that gained popularity with small investors suddenly disappeared earlier this year, and could have taken more than $US1 billion with it, Bloomberg reports. 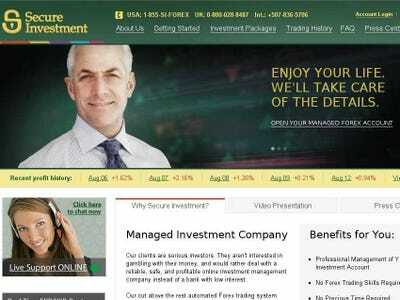 Secureinvestment.com — which was briefly more popular than widely-trusted currency trading platform forex.com — vanished to the dismay of the many small investors who trusted the site with their savings. The site said that those average gains of 1 per cent daily couldn’t be compounded into an annual return. Even without compounding, those kinds of daily returns would amount to an annual gain of about 250 per cent — or more than 25 times the average annual return of the Standard & Poor’s 500 Index, with dividends reinvested, for the past 50 years. Secure Investment didn’t provide that kind of context. The website went offline the next day and it doesn’t look like it’s coming back. According to Bloomberg, Mandal’s entire $US60,000 investment has probably disappeared forever. Secure Investments was linked to a fake address in Panama, as well as invented offices in Hong Kong, Singapore and London. Customers were asked to transfer funds to banks all over the world and were fobbed off with excuses when they attempted to withdraw the money. 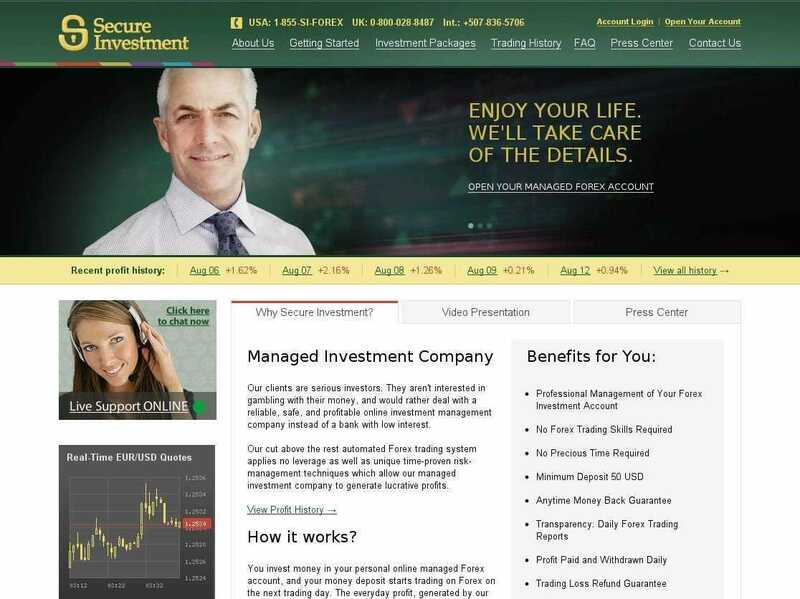 Secure’s website included 54 video testimonials, supposedly from investors; a six-minute infomercial; and three animated cartoons. One testimonial is from a bearded man wearing a jacket and tie. After introducing himself as Michael, he praises Secure in an 80-second video. He says he’s pleased with his return on investment. Michael is actually Al Eddy from Chattanooga, Tennessee. Eddy, 42, who has recorded video endorsements for a fee, says he was hired by an intermediary for Secure and paid $US20 to perform as Michael. He says he’s never invested with Secure, nor traded forex nor even purchased a share of stock. Nothing he said in his endorsement is true, Eddy says, adding that he no longer does testimonials. The site’s been gone for around six months and it doesn’t look like it’s coming back.